A congratulation letter from San Francisco Mayor Brown. "... 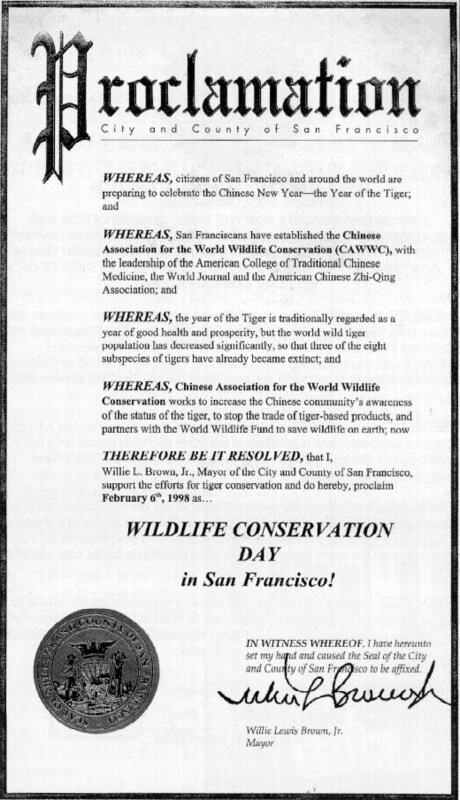 I, Willie L. Brown, Jr., Mayor of ... San Francisco ... proclaim February 6th as Wildlife Conservation Day in San Francisco!" Next article : A congratulation letter from Ms. Mabel Teng.